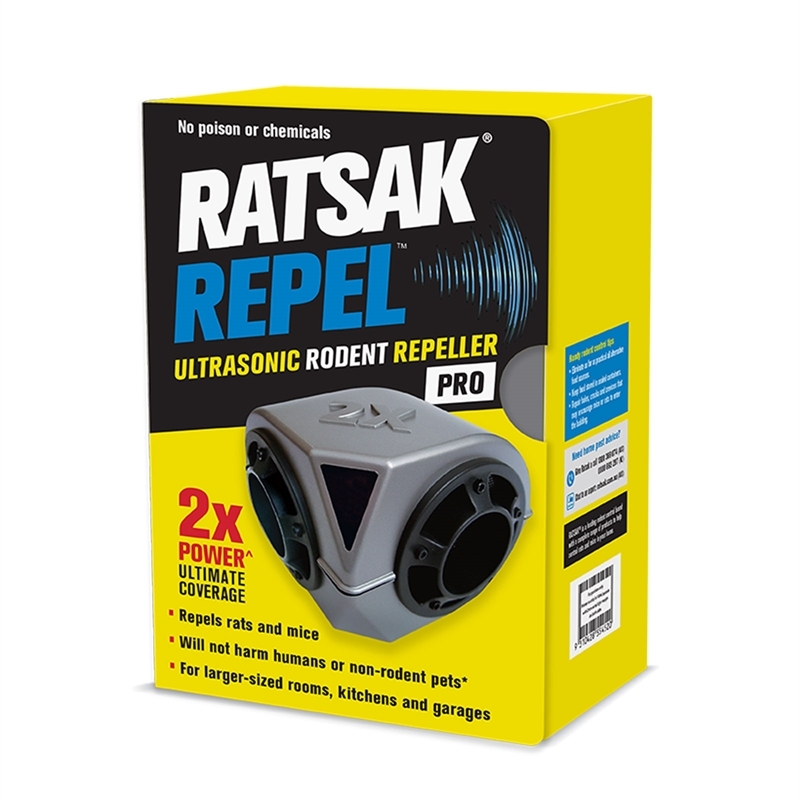 To keep rodents from becoming accustomed to the sound, the RATSAK® REPEL™ ULTRASONIC RODENT REPELLER PRO emits ultrasound at varying volumes (peaking at 100 dB) and varying frequencies (ranging from 32 to 62 kHz). With over 80 oscillations per second, this rodent repeller sounds like a jackhammer to mice and rats. The non-repetitive volume and frequency levels cause discomfort and an unpleasant environment that discourages rodent infestations. 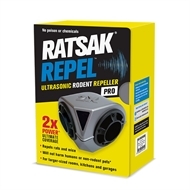 Emits high frequency sound waves that effectively repel rodents from protected areas. Safe and poison free, plus there are no dead rodents to dispose of! Note: Ultrasonic waves will not penetrate walls and objects.